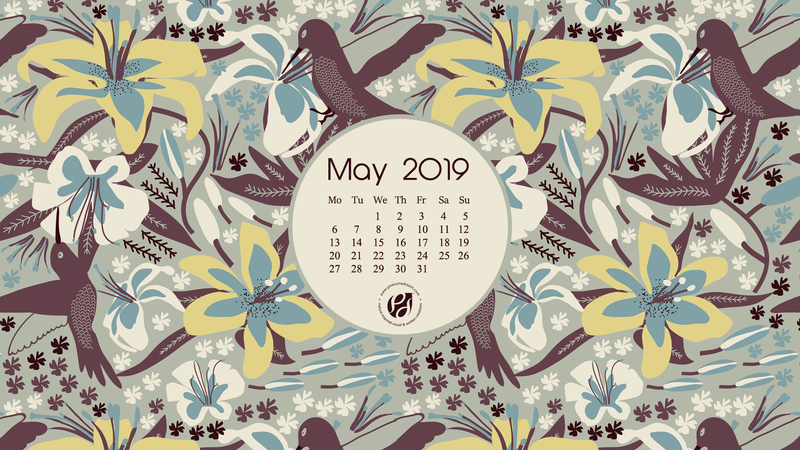 May 2019 free calendar wallpapers & printable planner, illustrated – Hummingbird in Lilies! The lily plants behind my home have now got this glorious shade of spring green. And I am patiently waiting for those golden beauties (see the photo at the bottom) to bloom again as they always start to do, in May! For this month’s freebies, I have re-imagined the colors of an illustrated surface pattern print of mine, inspired by Lilies and hummingbirds. 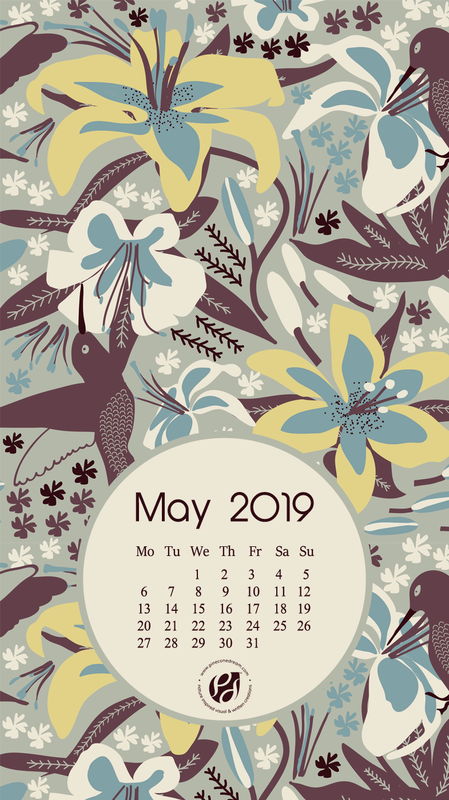 Check out my May 2019 illustrated calendar wallpapers for your desktop, smartphone, and the printable monthly planner. Download links are below the banner!